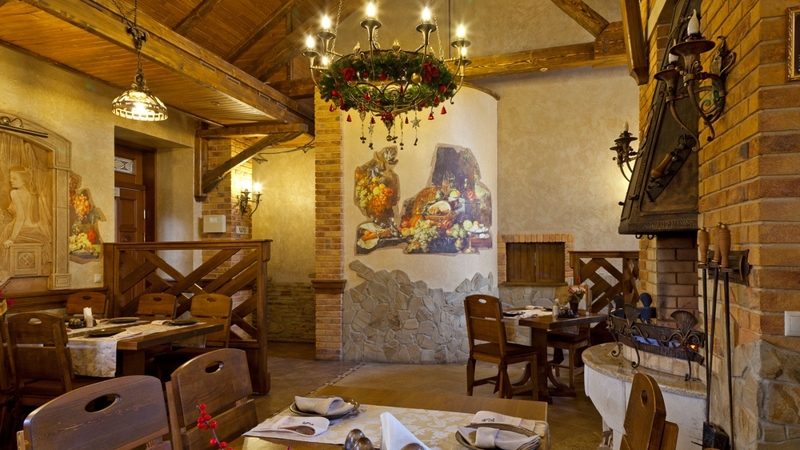 For leisure and celebration of gala occasions, Charda Resort in Uzhgorod offers to attend Kolyba restaurant with opened fire in the center of the hall. It is a marvelous place for celebratioms of different fests: beginning from marriage and ending with new-born christening. 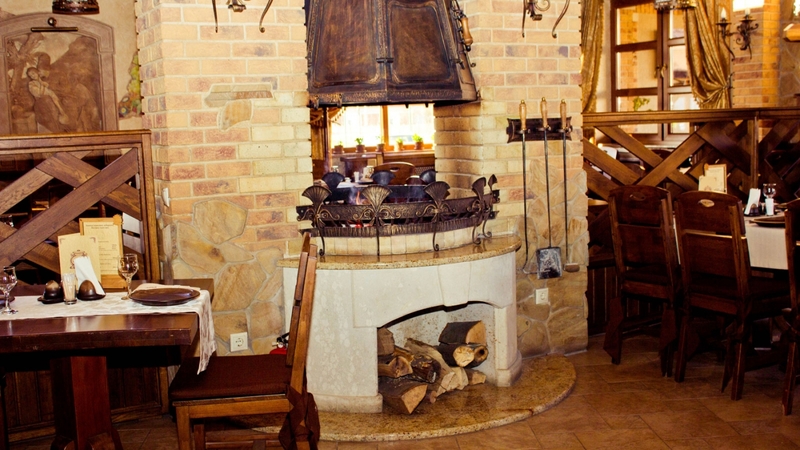 Interesting dishes from Kolyba are the very dishes that make our guests attend our resort again and again. 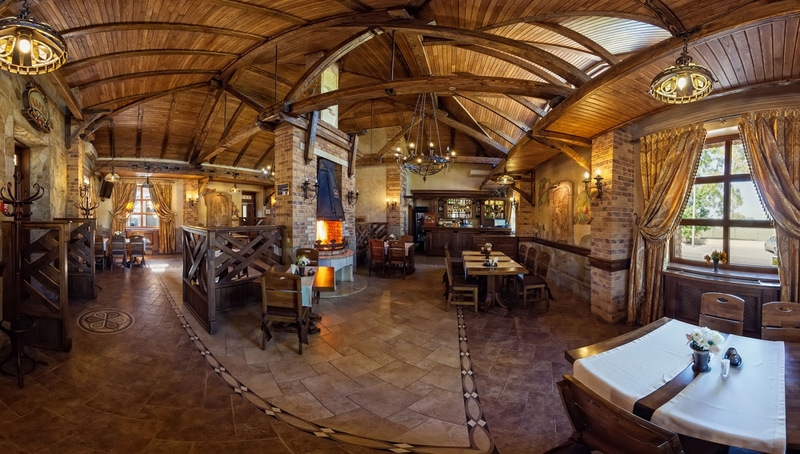 We offer dishes of ancient Hungarian and Ukrainian cuisine, grilled dishes coked on open fire and original chef `s specialty dishes. 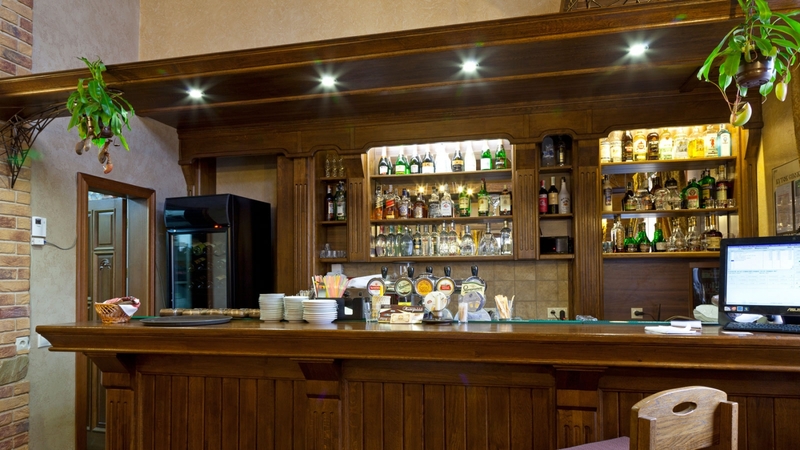 Cozy music, tasty cuisine and interesting interior make special taint and pleasant atmosphere. 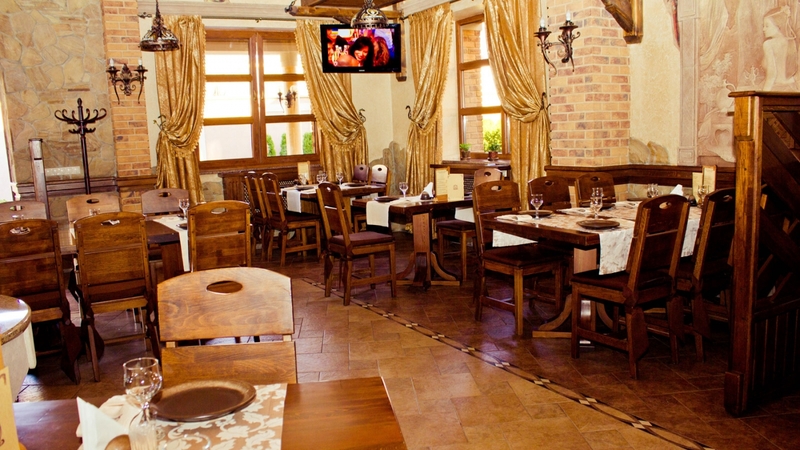 Visit our Kolyba restaurant Charda in Uzhgorod and you will fell pleasant moments of Transkarpatia.